Radiohead are a band I have long admired,because of their awesome inspiring music along with their social conscience,I have all their records and a poster in spare bedroom,their third album, “OK Computer” (1997), elevated the band to almost godlike status among my peers, and since then their work has been marked by an experimental streak and intelligence of spirit that has set them apart from the mainstream, and they have long been recognised as being consistently among the most vociferous proponents for a variety of causes. Radiohead’s lead vocalist, Thom Yorke, maybe best known for his environmentalist work, but is also a very strong supporter of human rights and anti-war causes. He has been involved in Amnesty International causes as well as the Campaign for Nuclear Disarmament (CND). So I was shocked and disturbed and extremely disappointed recently to have discovered that they have reportedly signed on to give a performance this summer in Israel. The show will come at Park Hayarkon in Tel Aviv on July 19 and may have some political spin, as many bands have boycotted playing in Israel in protest of the country’s occupation of Palestinian land. I would have expected more from as astute progressive politically aware band. I have recently discovered though that Radiohead have long had a strong connection with Israel, the first place where their iconic single Creep became a hit was Israel, and their first gig abroad was in the Roxanne club in Tel Aviv.Guitarist Johnny Greenwood is also married to celebrated Israeli artist named Sharona Katan and he recently released ‘Junun’, a collaborative album with Israeli composer/singer Shye Ben Tzur and he also has a house in Nahariya . For more than 70 years now Israel has been ethnically cleansing Palestine. 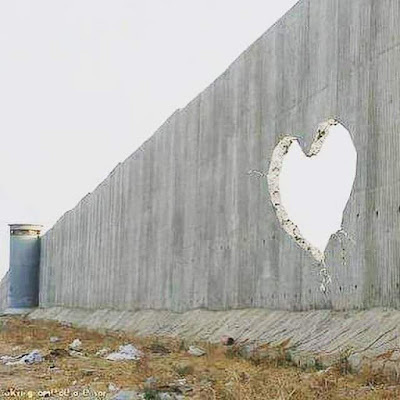 with the denial of basic rights to millions of human beings combined with illegal land theft. In the eyes of international law.Apartheid is defined as “a policy or system of segregation or discrimination on grounds of race. Or segregation on grounds other than race. Israel both segregates and discriminates by law on the basis of religion. It is therefor by definition an “apartheid state”. So playing in Israel would be akin to playing Sun City in the days of apartheid South Africa. 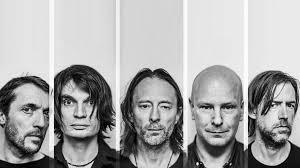 I really hope that Radiohead respect the call for boycott and like other respected artists do not cross the Palestinian picket line. Many others after pressure from fans have been forced to have a change of heart. In the meantime please consider signing the following petition by Jewish Voices for Peace, Radiohead Don’t Play Apartheid Israel , it might make them to reconsider and come out of this with a bit of integrity. This entry was posted on 20 April, 2017 in homepage and tagged Apartheid, CND, Israel, palestine, Radiohead. Bookmark the permalink.